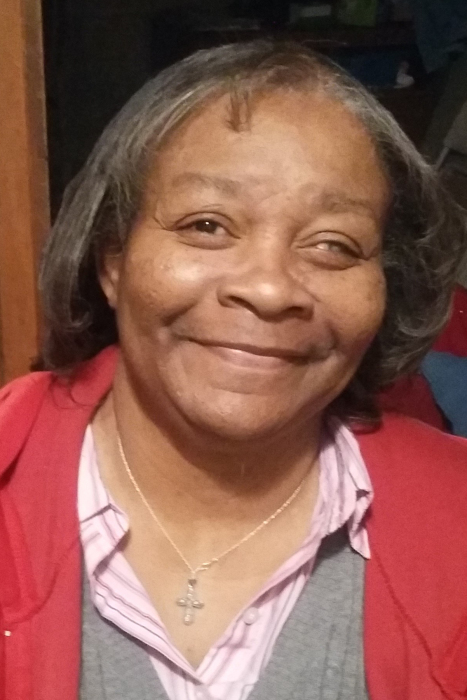 Nada Arnetha Frank, 62, of Mount Vernon, Illinois passed away at 9:14 A.M. March 26, 2019 at her residence in Mount Vernon, Illinois. She was born July 1, 1956 in Chicago, Illinois to Ralph and Clarissa Blanche (Dean) Edon. Nada is survived by her father, Ralph Phillips; mother, Clarissa Edon; daughter, Tyeast Harris and husband Keith of Mount Vernon; three grandchildren, Lejla Frank, Jeremiah Frank, and DaQuan Frank; brothers, Dion Edon and wife, Patricia, Kaseem Phillips and wife Angie, and Kendall Phillips and wife, Gwendelyn; sisters, Selena Edon, Juanesta Phillips, Cherie Cummings, and Wanda Griffin and husband, Percy; and a host of aunts, uncles, nieces, nephews, and cousins. Nada was preceded in death by two sisters, Paulette Phillips Jackson and Sister Debra Dukes and her grandparents, Joseph and Jocelyn Dean and Corbert and Maude Phillips. Nada attended the Active Day Adult Day Care Center in Marion, Illinois and was a member of the Blackwell Temple in Mount Vernon. She was dearly loved and will be missed by all who knew her. A Visitation will be held from 10:00 to 11:00 A.M. Thursday, April 4, 2019 at Blackwell Temple A.M.E. Zion Church in Mount Vernon, Illinois. A Funeral Service will begin at 11:00 A.M. with Pastor Gladys Marie Williams officiating. Interment will follow at Mount Vernon Memorial Gardens in Woodlawn, Illinois. Memorials may be made to the Active Day of Marion.